For the sake of simplicity of post, I would not discuss much in detail. However, you can navigate to official Jasmine guide for deep dive. You can download latest version of Jasmine from here. Once downloaded, you can extract and save lib folder in your project. 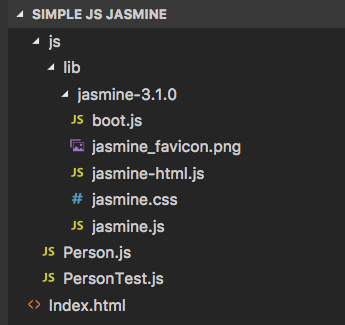 Its time to see how we can write a test method using Jasmine Framework. Above code snippet shows how we are using describe, it and expect methods provided by Jasmine framework. First 25 minutes of below video is basics of Jasmine Test Framework with same example as of this post.